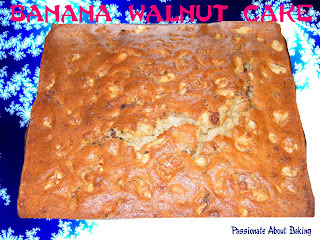 With abundant bananas on hand, and some left over toasted walnuts from my Walnut Pie, I decided to bake a banana walnut cake. As the amount of banana was quite a lot, the cake has a full banana taste! It was really tasty and sweet! My colleagues love the banana cake and could tell immediately from its smell and look that it's banana! Recipe for Banana Walnut Cake, extracted from "Baking Code" by Alex Goh. 1. Whip A until light and fluffy. 2. Add B into A and whip until thick. 3. Add in C, mix until well blended. 4. Add in D, mix until well combined. 5. Add in E, mix until well incorporated. 6. Add in F, mix thoroughly. 7. Pour into a 7'x7" pan, and sprinkle chopped walnuts on top. 8. Bake at 180C for 50minutes. 9. Cool completely before serving. How are you? Glad to see your baking! I don't have Alex Goh recipe book so thanks for sharing this recipe. My mum don't like my banana loaf as she don't likes those pound cake texture. If this is kind of fluffy texture one I must give it a try as she likes fluffy one. Thanks Jane! Oh.. soft and airy, I think this is the one my mum looking for. Thanks for sharing. I'll make one for her when I go back home again. love both the pie and cake! Me too have tried to make the banana walnut cake but not the pie...will like to have the recipe too..:) Thanks! Wow! I've not tried banana walnut pie before! I'm sure it will taste really yummy! 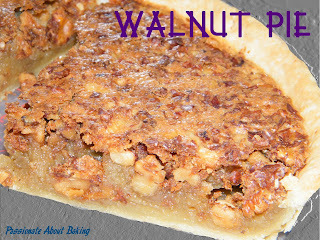 Unfortunately ladies, I can't share the walnut pie recipe as it was given to me by my sister. Sorry about disappointing both of you, hope you understand. If I can share any recipe, I definitely will. Banana cake is one of my all time favourite cake. It great that you've loaded it up with bananas- I bet your kitchen smells like heaven when you were baking. Ya boy! 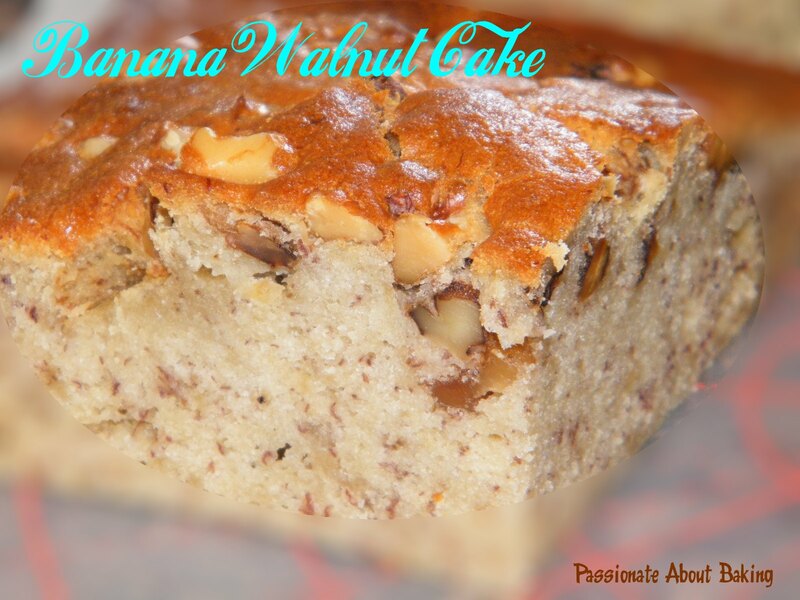 Don't you just love baking with bananas too?